Child labour has plagued the society for years. According to the the 2011 Census of India, 4.35 million children between the age of 5-14 years are estimated to be employed as child labourers in the country. These alarming figures have forced the authorities and various organisations to take effective steps towards curbing this menace. IPM India, the wholesale trading arm of Philip Morris International (PMI) in India, has initiated several such programs in the tobacco growing areas of Andhra Pradesh and Karnataka. These programs have resulted in an increased school attendance in the region, with more and more children attending school. 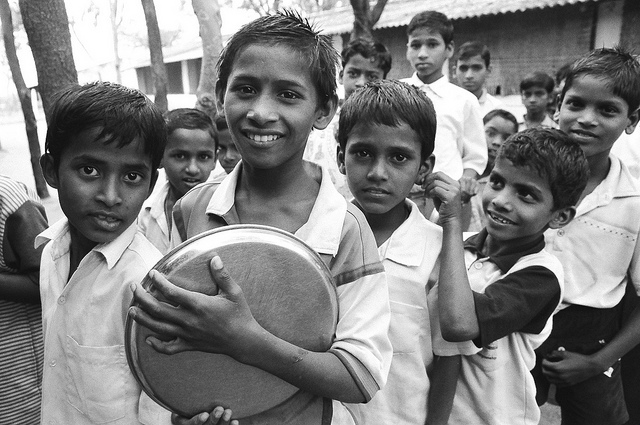 Prevention of Child labor and Rural Development in tobacco growing villages of Andhra Pradesh and Karnataka is a project undertaken through a voluntary organisation ASSIST, directed towards encouraging income generation activities, elevating school attendance through infrastructure development and spreading awareness. The program has benefited 34 communities ranging over 30 villages. Around 8,000 children have started attending schools and nearly 3,400 children have been influenced by child-to-child workshops carried out under awareness programs. The program has managed to reach out to over 60,000 villagers through a series of awareness rallies and cultural programs conducted. Another program aimed towards improving the lives of millions of Indians dependent on farm work is GAP (Good Agricultural Practices) – a huge part of which is directed towards abolishing child labor on tobacco farms. Additionally, the organisation also has an ALP (Agricultural Labour Practices) code, a set of practices and principles mandatory for the farmers and suppliers of the region. The code strictly prohibits recruitment of child labourers. In order to lure students to the schools, facilities such as sanitation system, portable water systems, sports and classroom equipment, etc. have been made available to the students. Efforts have also been made to ensure that students do not drop out during peak agriculture seasons by providing them mid-day meals or promoting extra-curricular activities among them, under the After School Programme (ASP). “Our contribution programme has been implemented in more than 50 schools in Andhra Pradesh and Karnataka. Over the years, we have seen a significant change in the school-going patterns of children. Students, supported by their parents, prefer to go to schools which now have good facilities and infrastructure,” remarked R Venkatesh, Director, Corporate Affairs, IPM India.